I have returned back from the land of no blogging, (terrible place it is m'dears, you must never go there.) And why not start off with a bang? So I will do another movie review, because I haven't done one in a while. As for Henry Tilney, oh my soul. Who needs proud Mr. Darcy, when you can have witty, adorable, thoughtful, and polite Henry? 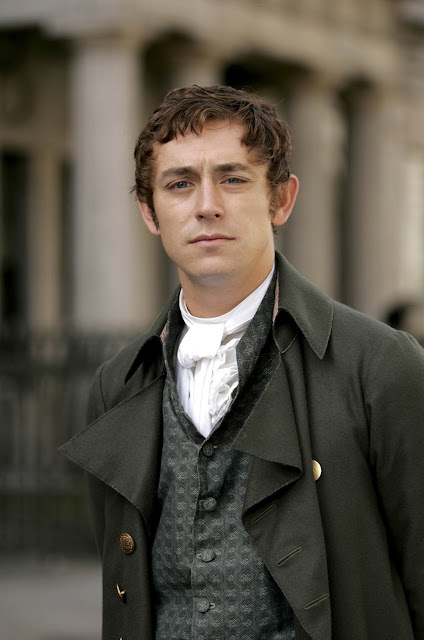 (And yes, he is now my favorite Austen hero) He is played by J. J. Field, who was great as him. He is so kind to Catherine, so polite, so funny. I love how he kindly teases her, and gently tells her that he doesn't approve of her novels.. (more on those later....) I really loved his easy going attitude, and his complete devotion to Catherine. And I love how sweet and amazing he is to his sister. (brothers take heed!) Just to show you how sweet he is, her is a clip. And besides, he understands muslin! As to the rest of the movie, besides the afore mentioned dreams and such, it was really good and mom and I thoroughly enjoyed it. 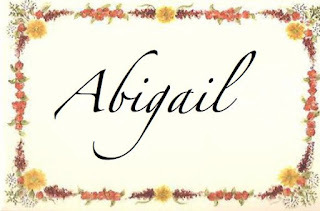 The sets were lovely, the acting great, the costumes gorgeous, the plot line intriguing, and the romance sweet. And I rather fell in love with Henry, (he's mine peoples!). All in all, I would defiantly recommend this movie. 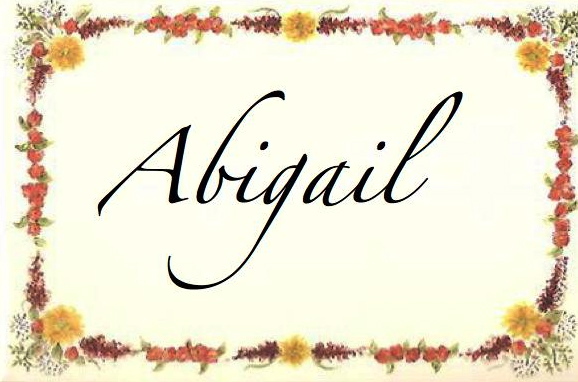 It is sweet, and well, it is an Austen, so it is alway's worth your time. So go, begone, and watch this movie. You will be glad you did, as I was. I know, why would you want stuck up Mr. Darcy, when you can have Henry Tilney?? Thank you! Yes, the pictures.. Oh my stars they are lovely. Henry does sound rather charming, but no worries:) That's all I shall say. Ha ha, okay! Are you going to watch the movie??? Oh do do do!! 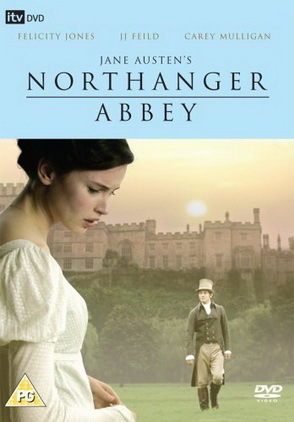 I love Northanger Abbey!! Glad to find others with the same preferences. A very good revies, I enjoyed reading it! Oh yes, it was such a sweet movie! !